At the heart of Rutland Reminders is its volunteers, who run singing therapy sessions for people in Rutland with dementia. In June, in support of the national ‘Volunteers’ Week’, Intercity will be encouraging people to volunteer not only with Rutland Reminders, but with other Rutland charities and community groups. 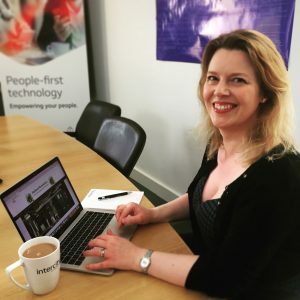 But Lisa was pleased to find that her employer Intercity Technology has a volunteer scheme that allows employees to take time out of work to support their chosen charities and community projects. Lisa has now been a committee member of Rutland Reminders since 2015 and we welcome guests with dementia, as well as carers and volunteers, every month in Oakham and Uppingham. Contact us to find out more.